You are here: Home / Soy Candle Making Supplies / What Soy Candle Making Supplies Do I Need And Where to Buy Them? What Soy Candle Making Supplies Do I Need And Where to Buy Them? I thought I should post a complete candle making supplies list and where you can get them. If you only want to make jar candles, then of course skip any supplies that have to do with just votives or tarts/melts and vice versa. 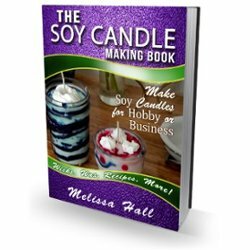 This list shows everything you need to start making soy candles in jars, tarts, votives and tealights. I have listed Amazon as one place to buy some of the supplies. You’ll want to compare prices, but if you have Amazon Prime it could be more economical for you since you can get free shipping on prime items. 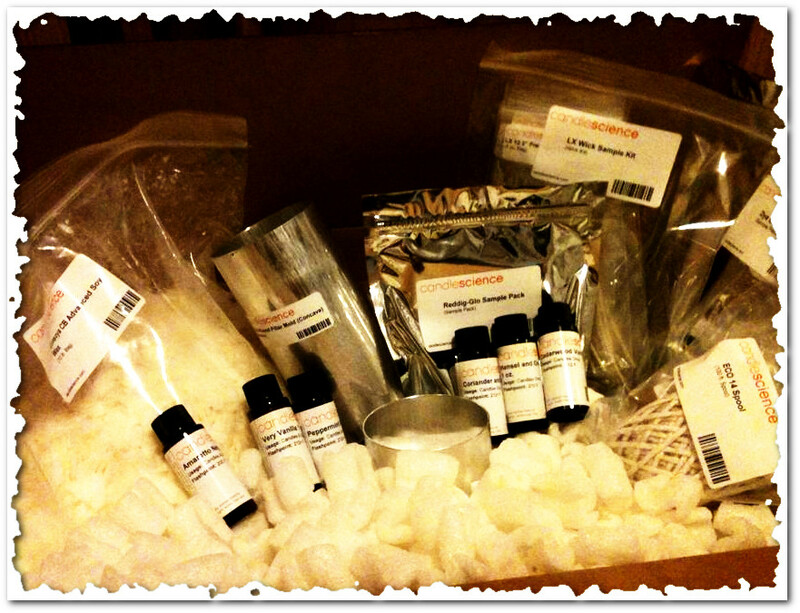 (start with 1oz samples at first)Candlesoylutions, Candle Cocoon are ones I recommend. Wick stickers Wholesale Candle Making Suppliers or Amazon.com hot glue gun or glue dots can be found in most stores locally. Glass Mason jars or other canning type jar Candlesoylutions Buy the lids separately on their website. Most candle making suppliers will have these, but you can find them at Candlesoylutions or Amazon.com or check out the Wholesale Candle Making Suppliers list. Wholesale Candle Making Suppliers, most suppliers will carry these. Heat resistant Pampered Chef, Walmart, Goodwill, etc…. Amazon.com You can use a plastic spoon as well. I like the rubber spatula for scraping out as much wax as I can from the pour pot into the candle jars. The next step would be to buy what you need in order to make a few candles to test and then follow the instructions on my website and in my videos. What I would also do is, if you have never tried the Enchanted Lites American Soy Organics soy wax, see if you can get a 1lb sample each of the 100% container wax, millenium blend and votive wax so you can try out each one. With the fragrance oils, buy a few 1oz samples first and then only go with the ones that really stand out after testing. Got your supplies already? Then lets make some soy candles! I was wondering where you get the supplies to shipping supplies from? Traci, I usually shipped via USPS Priority mail, so I would just order the free priority boxes. The flat rate boxes are great too depending on where you are shipping to. I reused packing peanuts and other packing material from my supplies that I ordered, or other items ordered online, and I also would get some from my husbands work place, so I rarely had to buy packing supplies. I never did figure out a best way to do the shipping, but I only had maybe 3 times where a candle arrived broken or cracked in the 4 years I sold them. You also might check and see if you have a box company type place near you. We have one here, although I never got around to checking out how much it would be to get small boxes to package individual jar candles, so I would just wrap them up in bubble wrap and fit them snugly in the shipping box. melissa, what is your preference in wicks? i have been watching tons of soymaking videos and keep going back to your simple techniques. the middle of my candles sunk, ( I was using paraffin w those but want to switch to soy) and do younalways do 1oz scent to 1lb of wax? Susan, I really like the CD wicks the best. I’ve tried HTP, RRD, some Simple Soy and paper core wicks, but they all seemed to mushroom too much. There are several other types I would like to start testing though, like Hemp wicks, wood wicks and a couple others. Paraffin will definitely have sinking, since from what I’ve read, is a wax you have to do a second pour with for a nice top. If you switch to soy and pour at the right temp, you shouldn’t have any sink holes. I don’t always use 1oz per lb. That is just kind of my default to start with unless the fragrance is really strong out of the bottle and then I’ll start with half an oz. Candy Cane and Lemongrass are examples of fragrances that you definitely can use less of. Also, with many of the fragrance oils I’ve bought from Candle Cocoon, since they are so concentrated, I have used only 1/2 – 3/4 oz per lb of wax and they perform wonderfully. There are also some that I’ve used the whole 10% fragrance load. Coffee scents are ones that I have had to add more or you just can’t smell them very well. I was wondering if you have tried wicks in 26 oz apothecary jar? Hi, I’m very confused as to what temperature to add fragrance, you recommend 185f but I’ve read that if you put fragrance in with too high a temperature the scent just burns off, also to put fragrance in at about 135f just before pouring ! Can you enlighten me please? I was wondering if you could do a post with more specific instructions on using a wax pumper. I have one from Coogar Products, if it makes a difference. I really like the equipment, but just not sure on different ways to use it.